Show off your love of sparkle with this jewel of a Curio. This piece would be a real focal point in small spaces. Or, flank two along an entryway to light up an entire room, as appropriate for a platinum blonde. 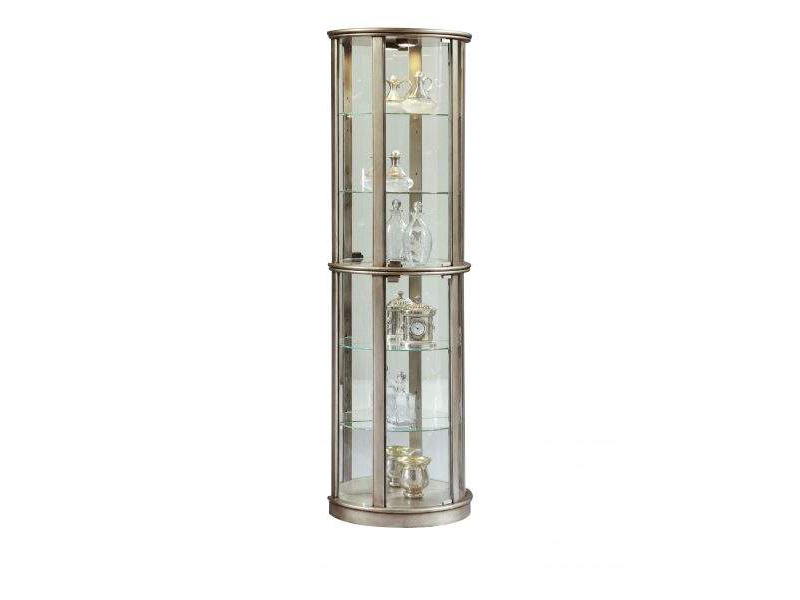 This demilune Curio is built in Select hardwood Solids and veneers and our sparkling Platinum finish. It includes two doors, a mirror back, high/low halogen lighting, and four adjustable glass shelves.